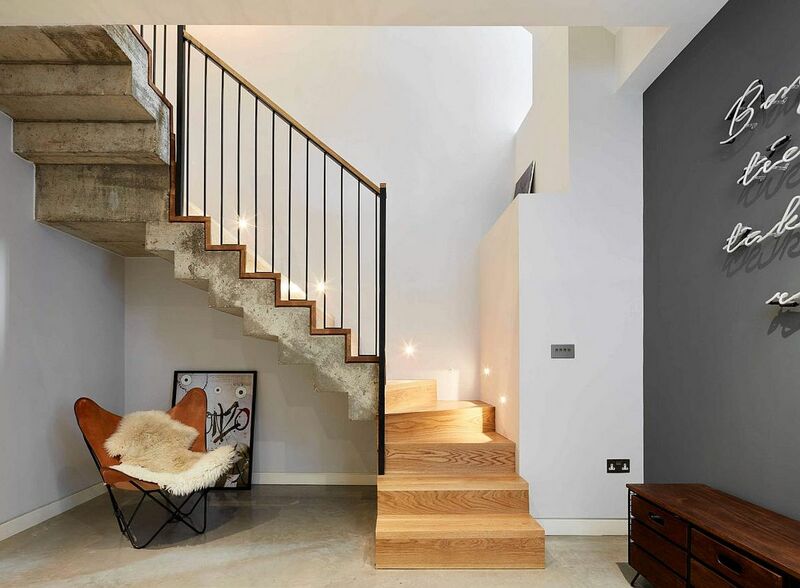 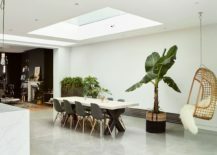 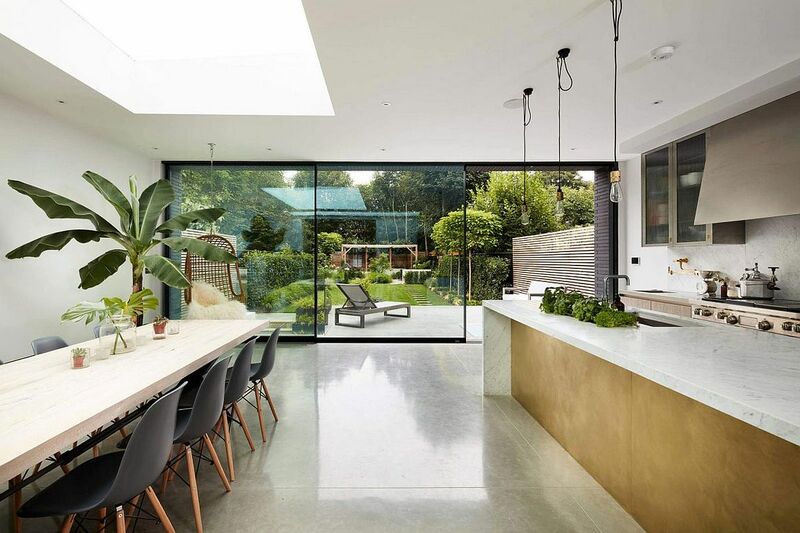 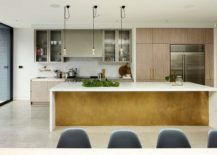 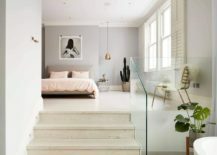 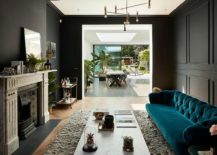 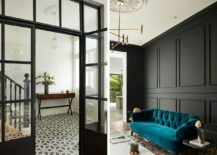 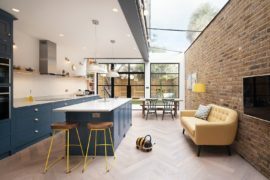 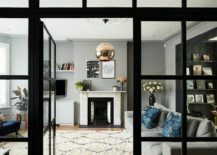 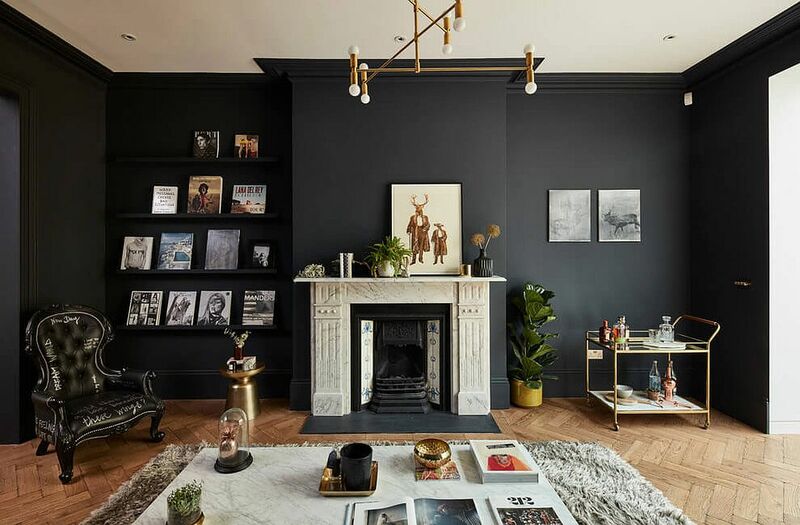 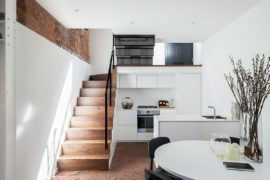 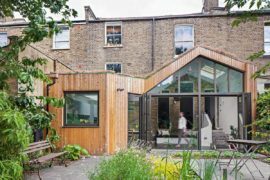 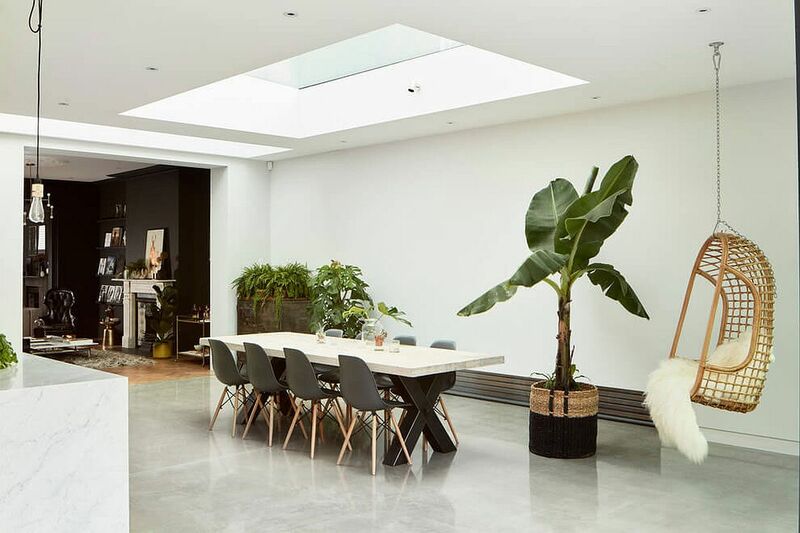 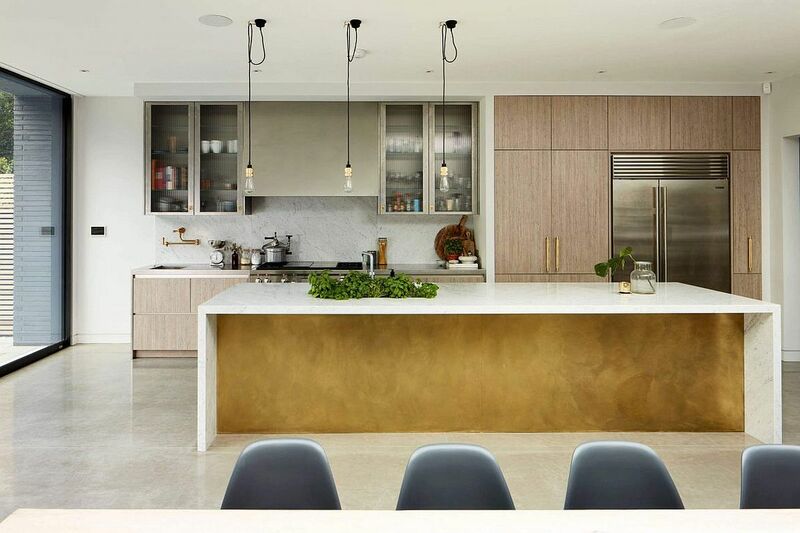 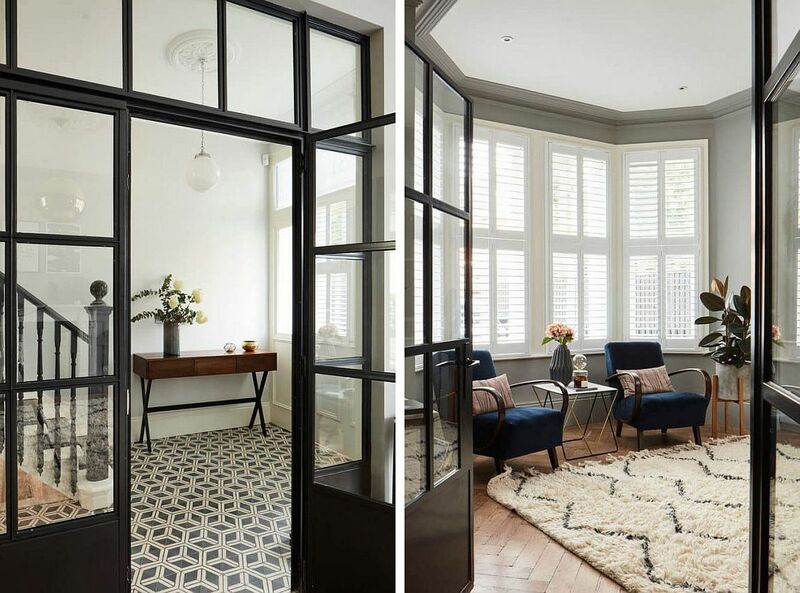 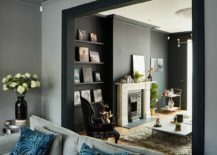 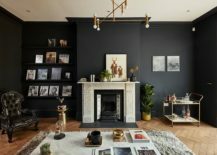 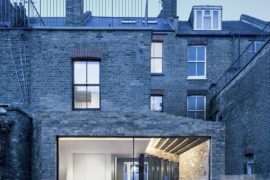 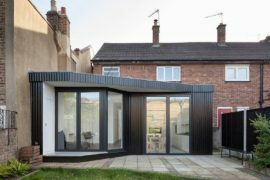 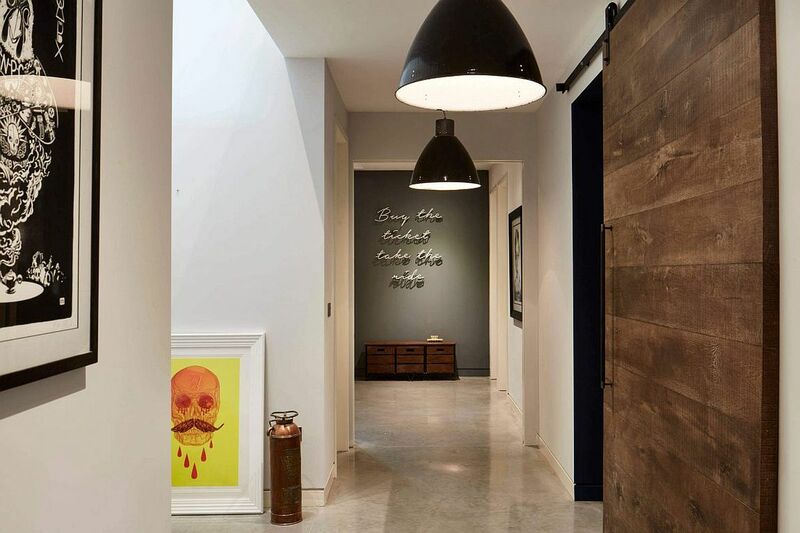 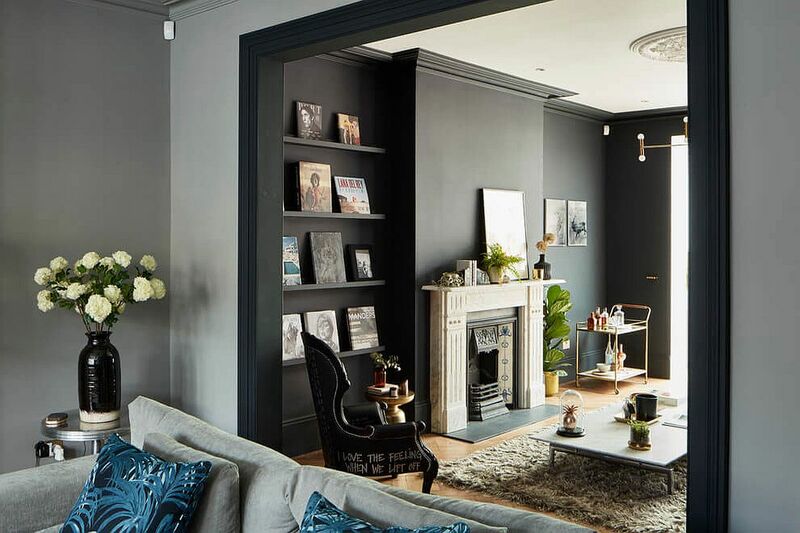 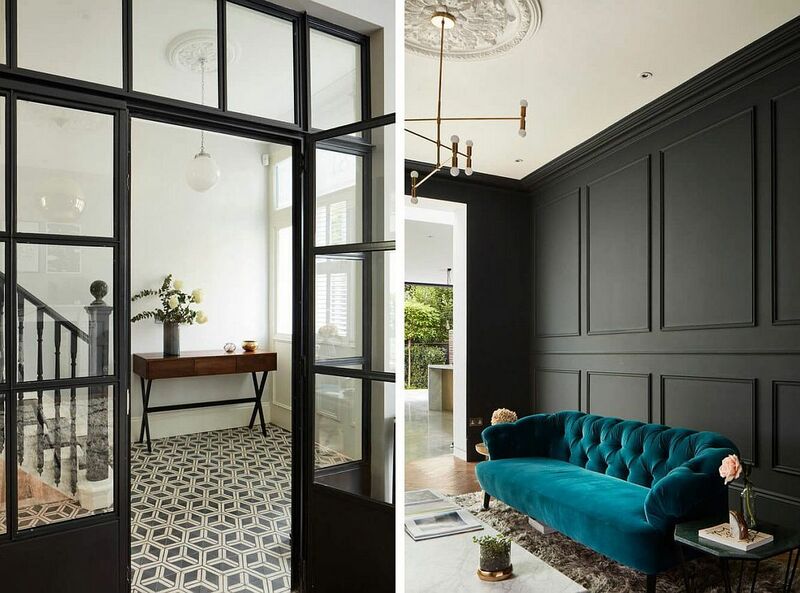 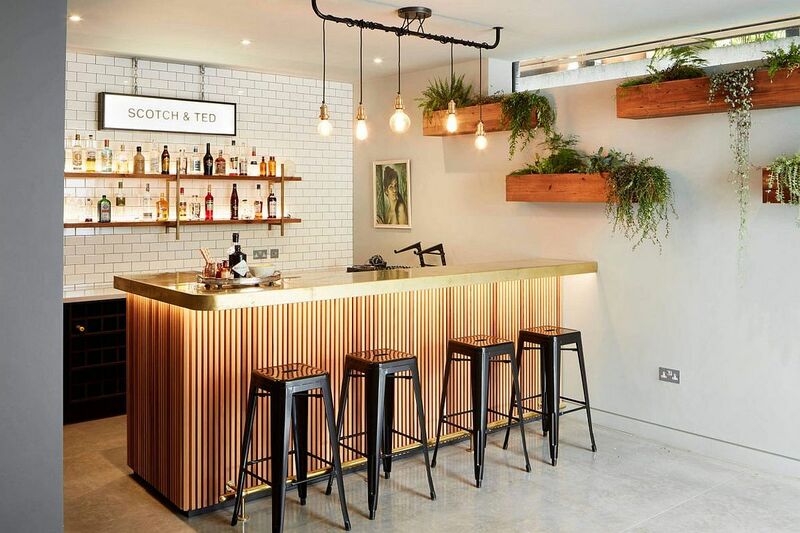 A mixture of contrasting styles, textures and imaginative design features, House Four is a refurbished home in Trinity Road, Wandsworth, London that seems to have an aura of its own! 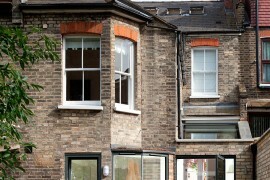 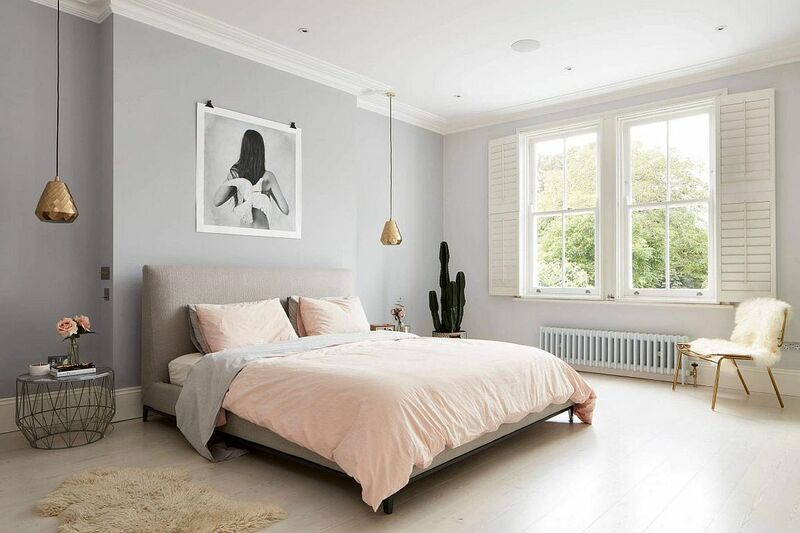 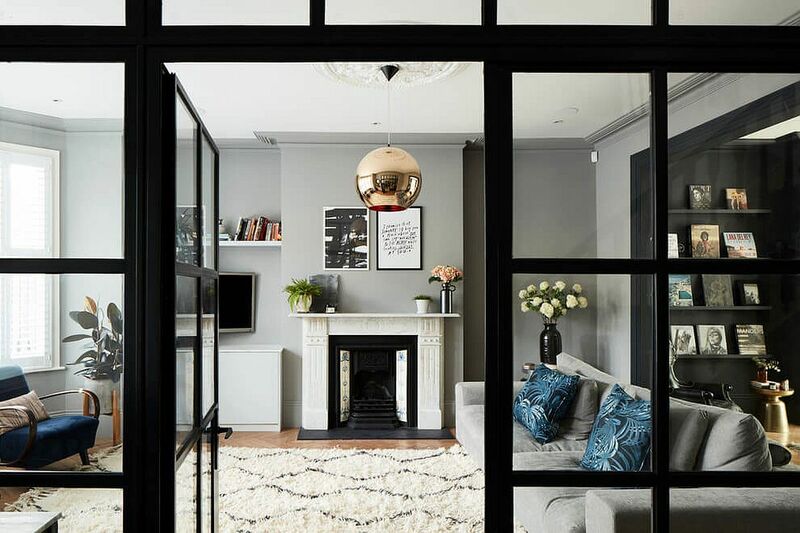 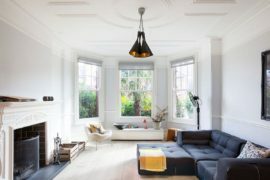 A classic double fronted London home that was in need of a major haul, the extensive makeover carried out by ADE Architecture fills the new interior with natural light, neutral hues, colorful accents and a delicate balance between the past form and present design trends. 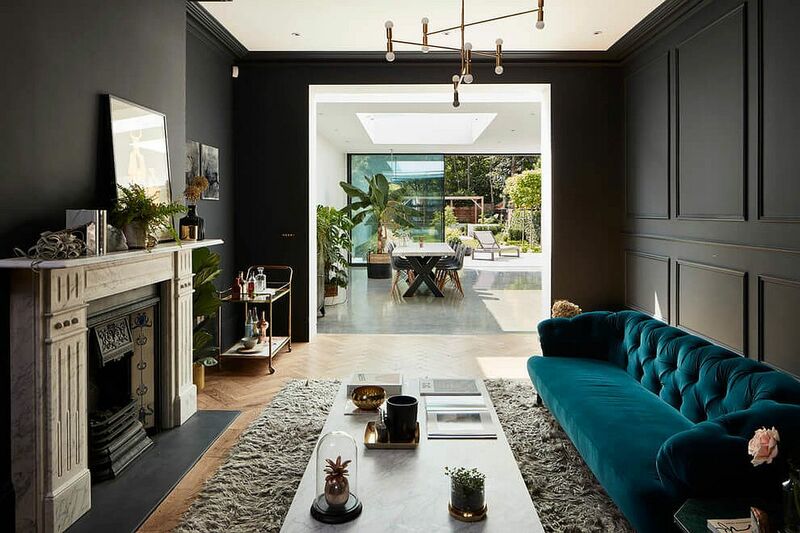 A new floor plan and completely altered interiors rely heavily on relaxing backdrops, exquisite furniture and a cheerful ambiance that brings the outdoors inside. 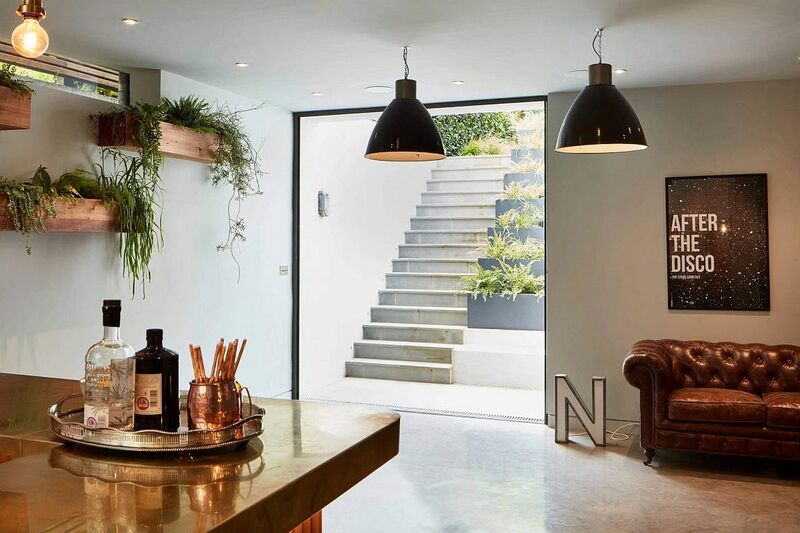 Elegant little additions like the sliding barn door at the entrance and the bespoke illuminated wooden stairway give you an early indication of what to expect inside. 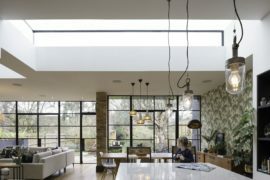 The living area acquires more flexibility thanks to the use of glass walls with a dark frame, which can easily delineate spaces when needed. 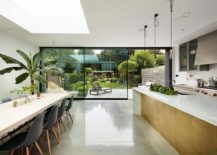 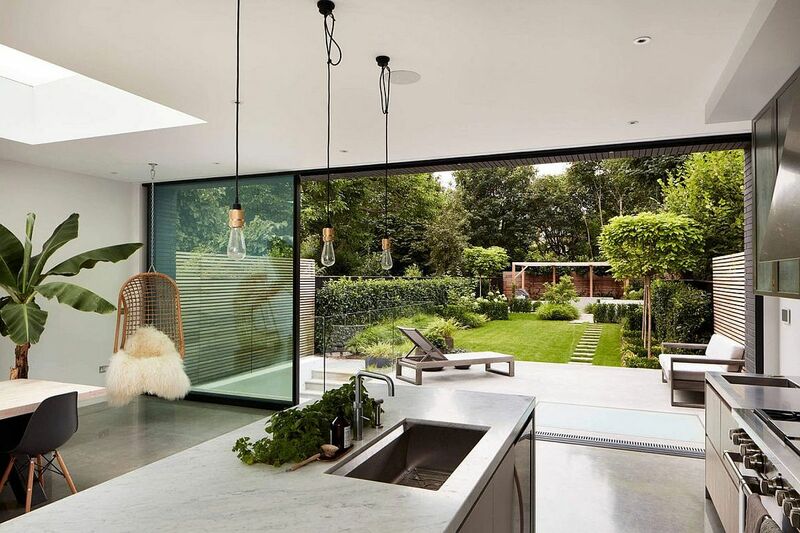 Different shades of gray lend a sense of sophistication to the open living space even as the new kitchen and dining zone in white effortlessly flows into the lush green courtyard outside. 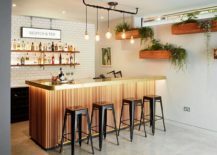 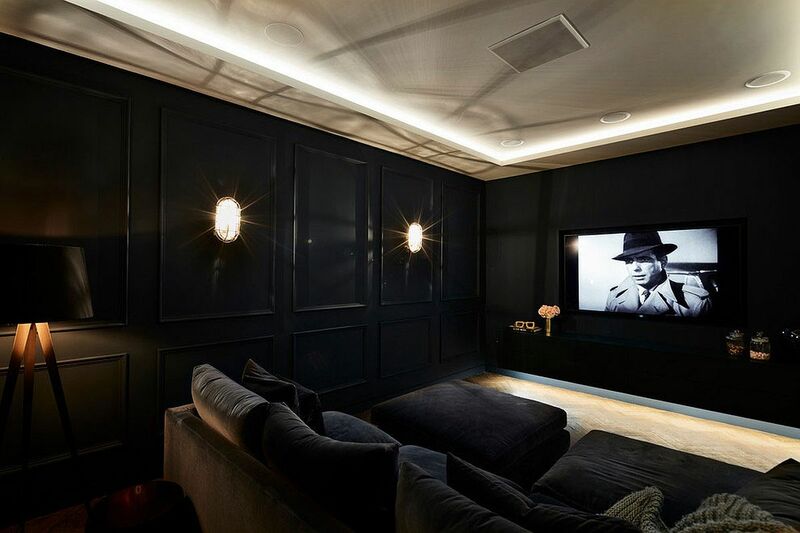 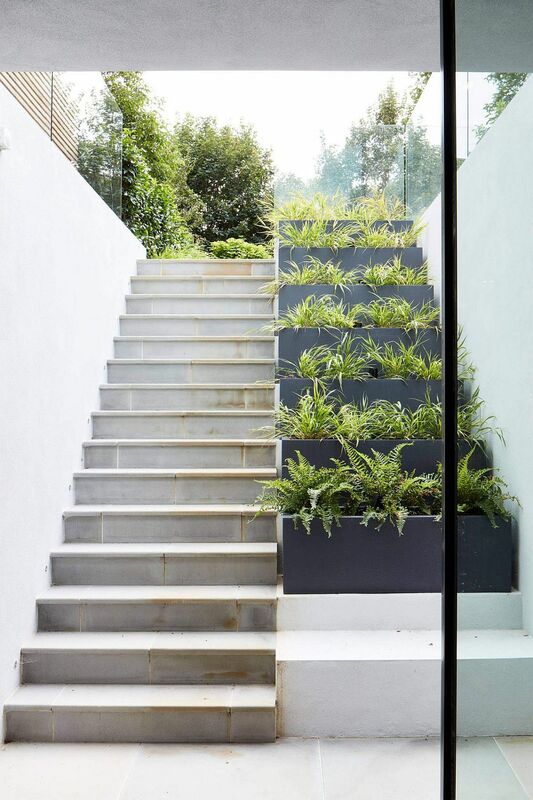 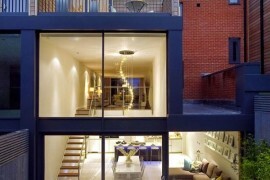 A revitalized ground floor now holds a dashing home theater, a unique home bar with tiled backdrop and a stylish vertical garden, home gym, additional bedroom and other utility spaces. 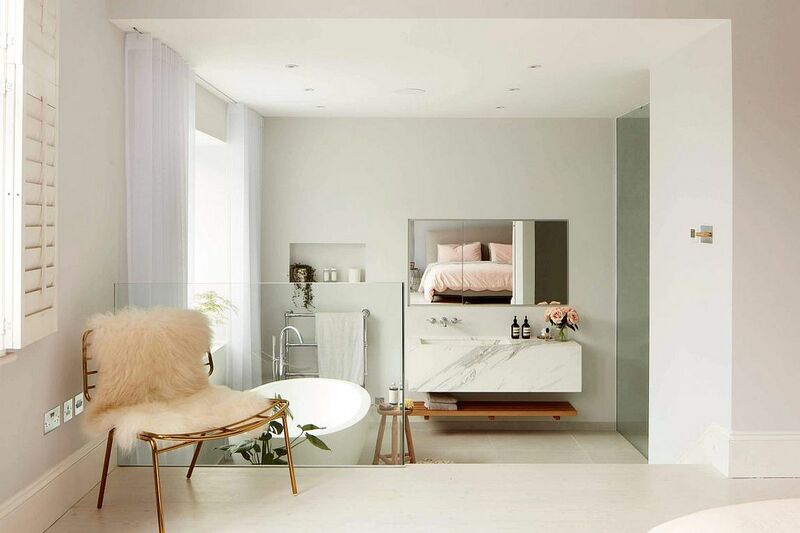 It is the first level that houses the chic master suite draped in white and pink. 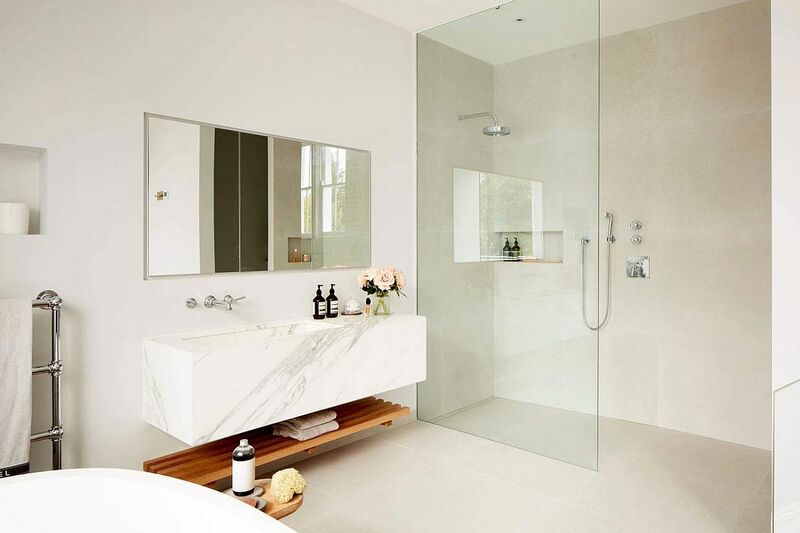 Oozing a touch of feminine charm, the master bathroom also embraces this color scheme even as the double-height internal courtyard ends up becoming the real showstopper!